Hi yesterday i was trying to install Photoshop CS3 on a system having Windows Server 2003 installed. But it gives me an error saying that you need a OS equivalent to Windows XP SP2 or greater or Windows Vista. So i found a workaroud which i would like to share with you. 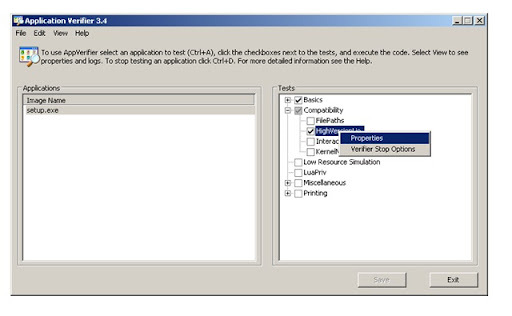 1.Run the Application Verifier and open the setup.exe file for photoshop cs3 and go to the compatibility tree view column. 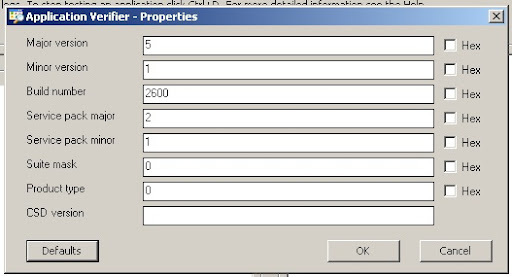 2.Go to HighVersionLie and right click it to get properties. 5.It will then ask you for the debugger to be attached do not attach any debugger and click save . 6.Now if you try installing it will be installed with no problems.